Design your own color combination with the Infinity Color Flex Tumbler. Double wall Polypropylene BPA free plastic with push on closure lid. Apps for this tumbler include promotional tumbler, business gifts. Overall size is 6 1/2 H x 3 3/4 dia. Buy in increments 144 units. Personalize this product by choosing tumbler, liner, lid color. Delivery from date of an order for this item is 2-3 weeks. 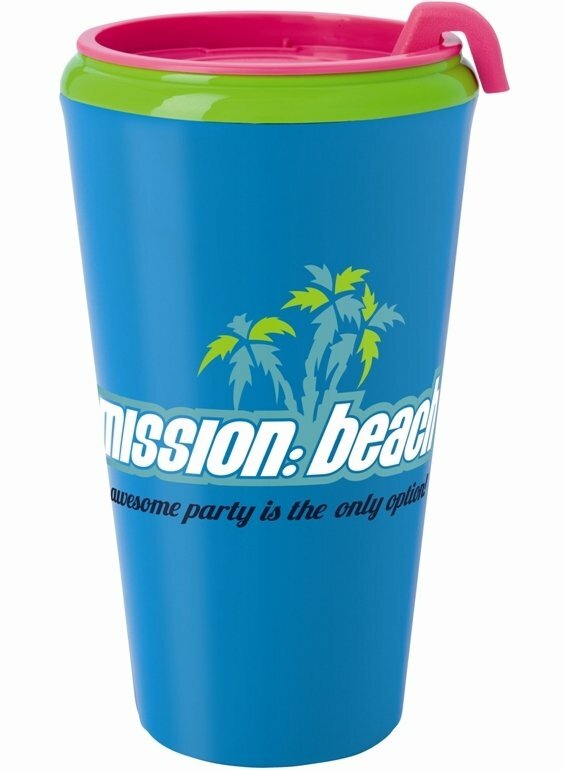 Price includes a one color imprint on one side 4 1/2" w x 3" h.
This tumbler has a maximum of a four color imprint.